This is admittedly a rush job here as I had just an hour before midnight to put up some pictures for the release anniversary of The Fly. A few years ago, I was able to visit some of the locations while in Toronto, check them out below. Monolith Publishing is north of downtown Toronto at 200 Bloor Street East. 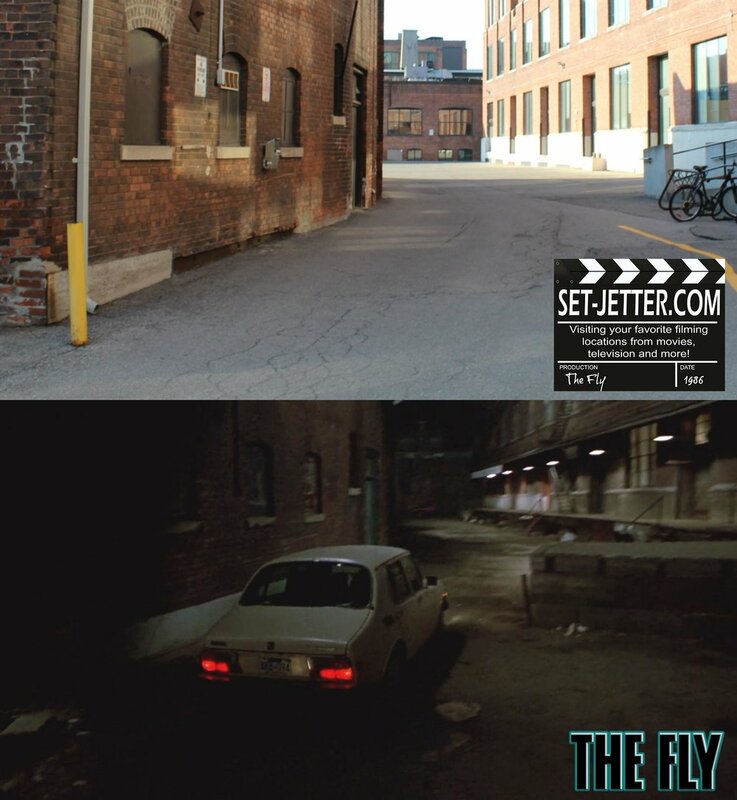 The interior was shot at a different building, located at 33 Yonge Street. I didn't go in that bulding, but you can see the mural on the Gooderham flatiron building out the window. That is all for now.... be afraid.... be very afraid.